Food dehydrating just got easier! NESCO/American Harvest offers a variety of the best food dehydrators and dehydrator accessories sure to fit your needs. Looking for food dehydrating inspiration? Check out our jerky recipes and cookbooks for your food dryers. 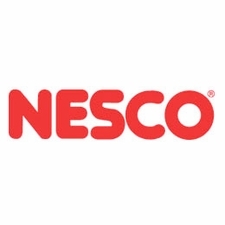 Nesco Food Dehydrator and so much more! Harvest Essentials is a company that is committed to your health and providing you with great customer service. We pride ourselves on giving 100% customer satisfaction. Our goal is to supply you with the best high end products that will promote and stabilize healthier living for our clients. Harvest Essentials has a staff that is dedicated to treating you right. We have outstanding products that will go beyond your expectations. Our Nesco / American Harvest Dehydrator is one of the best products for dehydrating food. Nesco Dehydrators captures and removes more moisture then any standard food dehydration device. Each of our products are extremely reliable, we ensure that we only carry the highest quality healthy food products. We don't just rest at creating outstanding relationships with our clients but we promote the best products available so you will have the most high-end equipment on the market. We provide products and appliances to help you with the type of cooking that promotes healthier living. We offer free shipping for any item of 89 dollars and a best price guarantee. Our customers enjoy the amazing selection of items we have in our huge inventory. For your chance to have the best products on the marker give us a call. The product EXCELLENT. We like very much (Made in USA) Excellent product. Thank you very much. Steven P.
Works great! So far I have dried egg plant for egg plant jerky, dried a big batch of peaches and dried a large batch of garlic for granulated garlic. All results have been excellent both in appearance and taste! Well built. Like the ability to add a large number of trays for the peak of harvest. Would recommend this unit. I have been using this the past 2 months since I purchased it and it works great!. The 8 trays also allows for larger batches of dried goods to be made at a time. Currently drying glaced cranberries which will be used in the Thanksgiving stuffing! I would highly recommend this product. We had to wait a bit to use our new dehydrator but when we did use it, I loved the ease of operation and drying capacity. I like the product so much I am ordering one for my son and daughter in law for an early Christmas gift. the dehydrator we bought is great. I had a problem with the fan and I sent it back and it was replaced with no problems. I have thoroughly enjoyed my Harvest Essentials dryer. The trays from my defunct Harvest Maid dryer fit nicely, and I am very happy with the product. I bought this dehydrator almost 3 years ago and I LOVE it. I use it all the time. I bought the bundle pack and cannot imagine not having the extras. We make beef and deer jerky, sweet potato dog chews, and dehydrate tons of fruits and veggies from the garden, farmers market, and sale bins. The jerky gun feels a little flimsy and I assumed it would break but 3 years later it is still working perfectly. I did a lot of research before I bought it and that research paid off!!! This is truly the best dehydrator I ever owned ! It came in 7 days ago and honestly it has run for 5 days ! We had a bountiful deer season and I wanted to make ground jerky for the guys I started with the jerky seasoning and cure that came with my order and I will order more of it. They loved it ! Using a mastered recipe of my own now the little jewel has turned out more than 20 pounds of jerky. This little machine, expanded to eight tray height has nearly paid for itself already. The square shape allows for easy storage and the finish cleans up in a snap. Thank you for the opportunity to purchase the Nexco FD 80/ Snackmaster at a great price. Thanks for the fast shipping great deal too! I used this machine around 10 times and it went out. It was an okay dehydrator the few times I used it, but just didn't work very long. I'm very happy with my purchase. I dehydrate a lot of things frequently. I'm really into flattening and dehydrating bananas right now, but I've done soup, chili, left over veggies, and even apple sauce. Anytime I make too much or buy too much, it goes in the dehydrator. I was able to get the best deal on this dehydrator and I just love it. I had it running for weeks at a time this fall and I love the way the air blows down, it is easy to clean, easy to understand how to operate. I would say to anyone-buy this and make sure you get the jelly trays and the screen things, it all came with mine and I think I have 8 levels. I made apple leather, pear leather, and dried everything under the sun. I'm enjoying the dried spinach and kale throughout the winter-crumbled very fine and mix it in with meat dishes, casseroles, smoothies and soups. Enjoy!